Are monetary penalties effective enough to save forests? The Union Environment Ministry has issued guidelines to deal with forest clearance violations by revising penalties. Will these guidelines prevent violations of forest clearance norms? The new guidelines issued recently by the Union Ministry of Environment, Forests and Climate Change (MoEF&CC) to deal with violations by user agencies under the Forest Conservation Act (FCA), 1980, fall short of addressing the same. On January 29, 2018, the MoEF&CC released the guidelines to impose revised penalties on user agencies and forest department officials for starting projects on forest land without obtaining FCs. The expert panel of the ministry constituted a committee in June last year, which after due deliberation in its meeting, came up with a decision of adopting a set of five rules and their respective sub-rules, which would be uniform across India, mentioning different situations under which the penalties over violation of FCA can be levied. The uniformity in imposing the penalties was to be brought as it was observed that penalties imposed for the similar offence were different on different occasions in the absence of common guidelines. Under the existing rules, the penalty based on Net Present Value (NPV) is applicable in cases in which the forest land is diverted before the FC is granted to the user agency. The NPV is the amount (between Rs. 5.8 to 10.43 lakh per hectare of forest) deposited by the user agency to the government exchequer to compensate for the diverted forest land by afforestation. The existing rules have been reframed to inflict heavy penalties which can go up to a maximum of five times the Net Present Value (NPV) of the forest land per hectare, and 12 per cent simple interest over the amount. Shortly after the guidelines were framed in November last year, criticism started pouring in from experts, who questioned the provision of levying the penalty based on NPV, and termed it to be “inadequate”. Sanjay Upadhyay, an environmental advocate in the Supreme Court of India, made a remark mentioning the guidelines’ broad categorisation and scenarios for levying penalties as “short-sighted” and “incomplete”. He also cited the examples of FC-related violations in the protected areas and other ecologically sensitive areas where the provision of penalties does not consider forests for their quality and health. Similar concerns were raised by one of the previous members (non-official) of the ministry’s Forest Advisory Committee (FAC), who mentioned the NPV as a poor measuring tool to calculate the monetary value of forests, which, consequently goes down to the equation, “You pay the money, we will give you forest land”. The inherent problem with NPV against forest diversion is its inability to truly account for the real value of an ecosystem, because the natural forests once cleared, the lost ecosystem cannot be replaced by afforestation. Moreover, there has been a history of the poor implementation of compensatory afforestation even for the projects for which the NPV has been collected. Do sanctions based merely on monetary terms provide any deterrence against violations of provisions under the FCA? Kanchi Kohli from the Centre for Policy Research in New Delhi says, “Many times, the user agencies under the allegations of violations of the FC Act contested against penalties and the matters went to courts, where the user agencies downright denied violating any rules at all”. Moreover, is there a risk that user agencies might see the provision of penalties on monetary terms, more as a tool to get FC than as a deterrent? For instance, the Mundra Special Economic Zone Ltd. had agreed to pay 5 times the NPV for getting the FC for a forest patch of 100 ha in the Sircha village of Kutch district in Gujarat. The Conservator of Forests highlighted the ecological importance of the region for being one of the best Acacia nilotica forests, breeding ground for many bird species and home to the Indian Wolf. 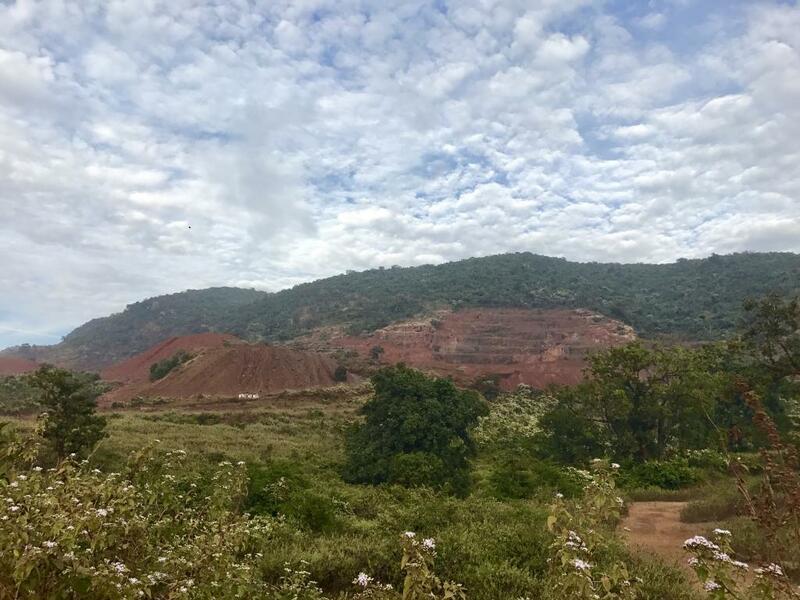 The user agency cited the reason for diversion that there was no alternative to that patch of forest land and it needs that patch of land to be a part its expansion into the 8,464 ha of land declared as a Special Economic Zone. Sircha is one of the many cases where the user agencies have made huge investments in acquiring the non-forest area near or adjacent to a forest area for development activities, and applied for diversion of forest land on the basis that their investments, and the already progressed work cannot be undone, creating a deliberate fait accompli situation. The FCA mentions under Section 3 (a) that “Whoever contravenes or abets the contravention of any of the provisions of Section 2, shall be punishable with simple imprisonment for a period which may extend to fifteen days”. However, despite numerous documented cases of FC violations, any serious penalty against the violator is still unheard of. In this regard, Praveen Bhargav from Wildlife First says, “When seen in the context of near zero rate of prosecution of both officials and user agencies despite a huge number of documented violations, the new guidelines appear to be woefully inadequate. This, coupled with growing number of ex-post facto clearances is making a mockery of the law. Consequently, user agencies are increasingly using the strategy of fait accompli to push projects started without prior approval. Despite the Supreme Court directions and guidelines in the Lafarge Judgment of 2011, the MoEF has not yet established a National Regulator at the state and Central level to appraise projects, enforce conditions and impose penalties. Merely imposing additional NPV, without strong penal action including cancellation of FC, is grossly insufficient to curb emboldened user agencies from willfully violating the FC Act”. The new guidelines also deal soft handedly with culprits from the forest department by giving directions to regional offices of MoEF&CC and state governments to initiate formal enquiry in cases of such violations. Given poor record of prosecution and penalties for past violations, it is unlikely that such enquiries and penalties, if any, will prove to be a significant deterrent to forest land misuses. In Section E of the guidelines, no penalty is prescribed for erring forest officers in cases of changing the category of forest land itself in government records, by mentioning “if the violation is not attributable to the user agency, no penalty shall be imposed”. It will potentially give a free hand to forest officers to misappropriate forest lands in future. Given the rising importance of forests in the era of climate change, FCA needs amendments to raise penalties and strict enforcement of Act is imperative. On one side MoEF & CC is liberally giving permission to state governments for land use change including real estate business in thousands of acres of forest land and on the other side talking on saving the forests. Hypocracy Thy Name!!! The issue is prematurely addressed.